If animals could talk, would we still eat them? It’s an age-old question that’s often discussed. The common response is that if an animal could talk, it would possess a similar level of intelligence to that of a human. It wouldn’t be merely content to graze in a field; it would have questions about its existence – a desire to survive, form friendships, and live its life to its fullest. 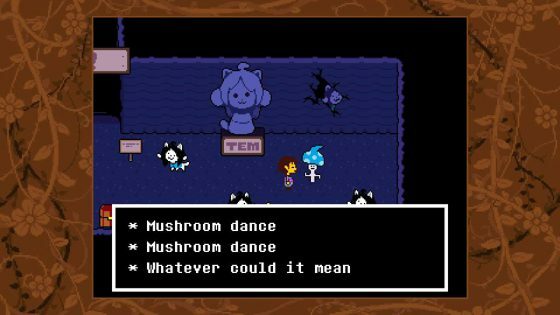 Toby Fox’s indie hit Undertale poses a similar question. If a monster doesn’t want to fight, would you still kill it? Before handing you this moral quandary the opening to this role-player throws a curveball. The first enemy our human hero encounters, after tumbling into an underground monster-filled world, spares them no mercy. It’s a kill or be killed situation, and after a swift battle, the protagonist is left injured. A mild-mannered creature known as Toriel comes to their aid and after teaching the basics – her name is a wordplay on ‘tutorial’, see – she reiterates that the world is a dangerous place. More importantly, though, she teaches the importance of showing mercy. After leaving Toriel’s cosy abode – on a quest to meet the King and return to the surface – it soon transpires that the majority of critters our hero meets pose little threat. Most are either intrigued by the very presence of a human or downright terrified. It was humans that forced monsters into their underground domain, a story that has been passed down for generations. As such, humans are seen as being both strong and powerful. Some monsters don’t want to fight, while others only attack as a means of self-defence. Others just want to talk; a few even want to flirt. And so Undertale is less about fighting and more about befriending. During the turn-based battles, the ‘Act’ screen features different options depending on which monster you’ve run into. The idea is to try and show empathy and understanding, using prompts, body language and speech bubbles to work out what the opposition requires to bring a conflict to a peaceful conclusion. If this sounds fascinating, perhaps even revolutionary, that’s because it is. A degree of trial and error is called for, sometimes with humorous results, and once you’ve learned how to leave a monster be, the same trick can be applied to all future encounters. It’s a good job, then, that every area has unique monsters. They can also attack in pairs, altering their attack formations. The battle system always gives the option to bludgeon enemies to death during an encounter, requiring a well-timed button press to a perform critical hit. 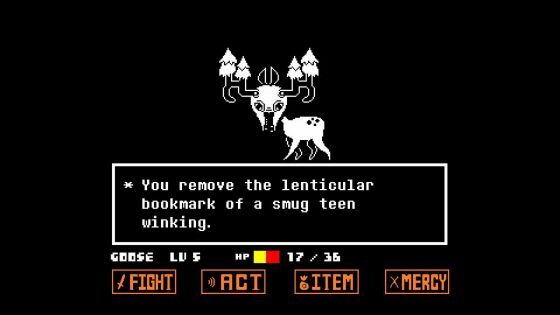 Play Undertale this way – affectionally known as ‘The Genocide Route’ – and you’ll find it no different to any RPG, save for the fact that enemy attacks must be dodged via Wario Ware style impromptu mini-games. Play it either neutrally or pacifistically, however, and you’ll be treated to one of the most heart-warming gaming experiences. In short, every monster wants to be told – either directly or indirectly – that their lives matter. They aren’t savages. They have homes, families, jobs, and dreams. 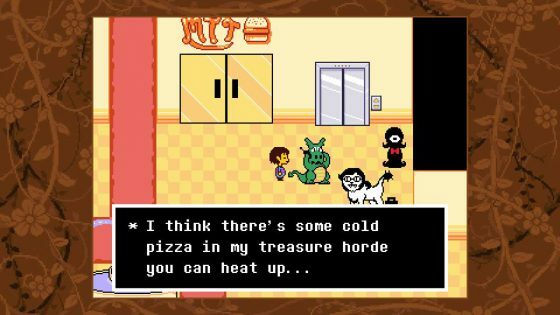 Their general sense of insecurity makes Undertale one of the humblest games around, and this is before taking its whimsically low budget feel into account. 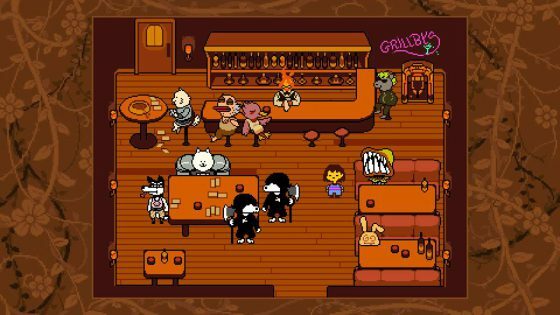 To see Undertale as dated is missing the point – it’s a love letter to such Nintendo classics as Earthbound, Pokémon and, to an extent, The Legend of Zelda. While the lack of animation on NPCs does give some locations a lifeless look, each character is as lovingly drawn as the last and usually has something pleasingly daft to share when spoken to. The music meanwhile is much more modern than that of its influences, being a mixture of upbeat chiptunes that’ll linger in your mind long after putting the joypad down. As for structure, it follows the outline of a typical 8-bit RPG to a tee, taking us through ancient ruins, snow covered mountain ranges, labyrinth-like forests, and a doomy lava-filled domain. Unexpected moments are in abundance, with almost every screen featuring something intended to amuse. Along the way, new friends are made, and thanks to the inventory including a cell phone, it’s possible to stay in touch until the very end. These include Sans and Papyrus, two jovial adolescent skeletons, and Alphys – a nerdy scientist who understands humans more than most monsters do. As well as comic relief – not that Undertale is short on comedic moments – these three characters do their best to help their newfound human chum find their way home, chiming in with tips. Tips for puzzles, usually. The game world is a tad too linear to encourage exploration (“keep heading right” is a persistent theme) and so the bulk of time outside of battle is spent solving puzzles. Flicking switches, shoving blocks, and shooting targets – nothing amazingly innovative, but every puzzle is entertaining nevertheless. An occasional surprise can throw a spanner in the works too, especially when facing Mettaton – a D-list celebrity robot who’s keen to bend the rules of play. The biggest obstacles to overcome are by far the bosses, most of which require several attempts to “defeat” – their attack patterns, which often resemble bullet formations from a typical Japanese shoot’em up, can take a few tries to learn. Thankfully it’s possible to backtrack to item vendors and stock up on health-bestowing items, purchased using the small amount of gold gained after a battle. As well as various foodstuffs, gold can also be used to buy armour and – if required – weapons. It doesn’t flow freely, and the inventory is designed around this, with only eight slots. As previously mentioned, the game world is small by RPG standards, so it doesn’t take long to backtrack to item shops or revisit areas you may have overlooked. A fast-travel method also appears later. 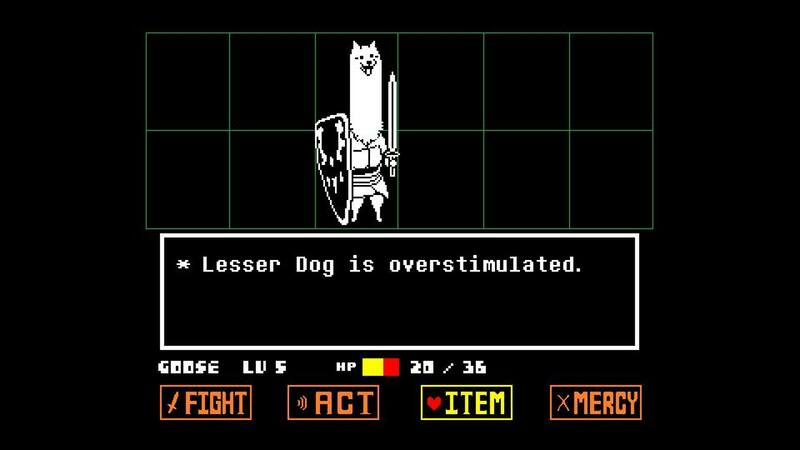 In terms of length, Undertale clocks in at around five hours, ignoring the potential for additional playthroughs. 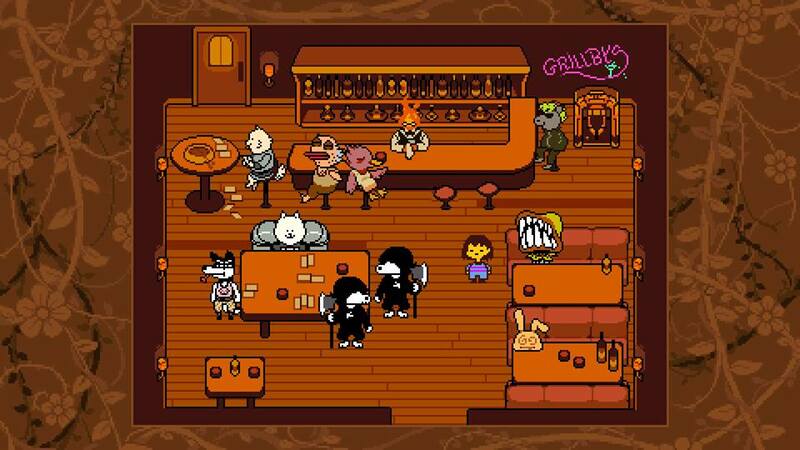 When taking the reasonably smooth difficulty curve into account, it’s clear that Toby Fox wanted this to be an adventure anybody can see through to the end, regardless of genre experience. While it could be easily perceived as an RPG for the Minecraft generation, with its doggo-tastic memes and all, it’s much more than that. It’s a game for-the-ages, with a meaningful message tucked away under a lovingly crafted exterior. An instant classic.